What a display: West Australian Red-flowering Gums! 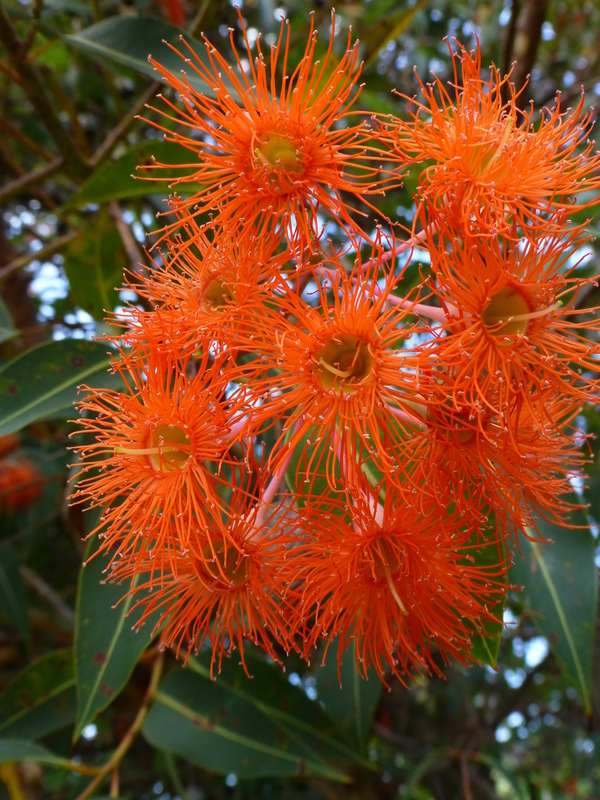 A week or two ago, I decided I’d better be quick: these beautiful flowering gums were passing their prime. So I immediately grabbed the camera and hot-footed it! Eucalyptus ficifolia, as the botanists call it, is making its presence felt in the suburbs of Sydney these days as a stunning tree, both in gardens and, increasingly, as a street specimen. We are lucky in living close to several trees: and their brilliant displays have become a summer highlight. I believe there is also a hybrid between these West Australian Red flowering Gums and Bloodwoods, another Eucalyptus. These varieties have bronze-coloured foliage. Whatever type you see in bloom, my bet is that you’re assured of a glorious sight.